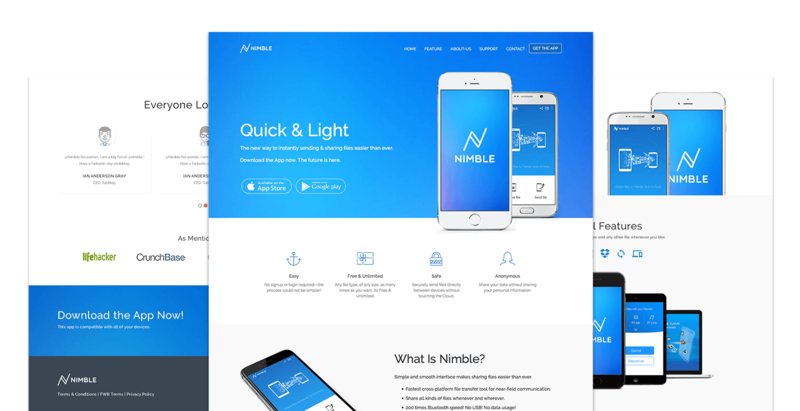 Nimble is centered around an app landing one page WordPress theme, crafted by industry professional and engaging features to ensure smart presence of site content without off-putting visitors. Ideal for showcasing app details in a vibrant but elegant fashion. 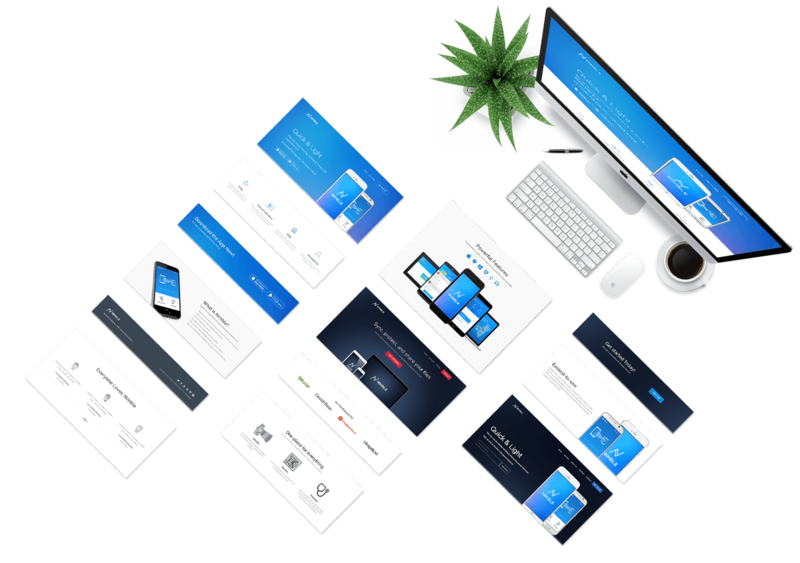 OnePager is the world's super simple one page website builder, requires no extra time and labour like playing a game. The only requirement is your artistic taste having ease in mind. Nimble adapts perfectly to all viewing devices in the market and offers a consistent experience across desktops, tablets and phones. 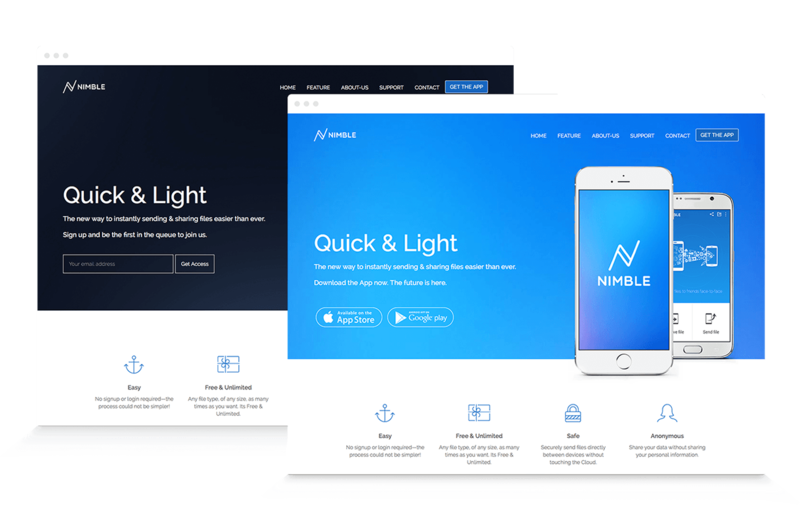 Nimble is a minimalist one page wordpress theme showcasing the App content smartly with a streamlined custom fonts, extensive iconography to maintain a balance of simplicity with style and elegance. Launching apps requires the continuous communications with its interested users. Nimble binds both pre and post launch versions of landing page ensuring smooth communication. 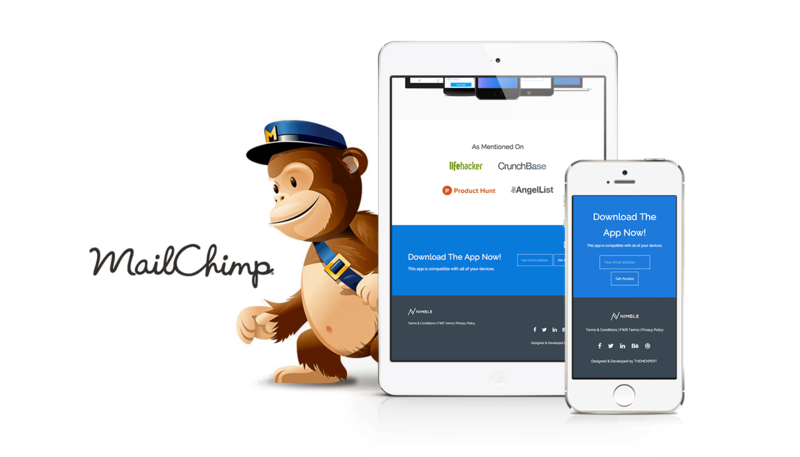 Shipped with tight integration of MailChimp to allow easy leads collection and get reports on how much visitors are subscribing for the upcoming mysteriousness. Appreciation of app users adds a revolutionary surplus in conversion wheel. 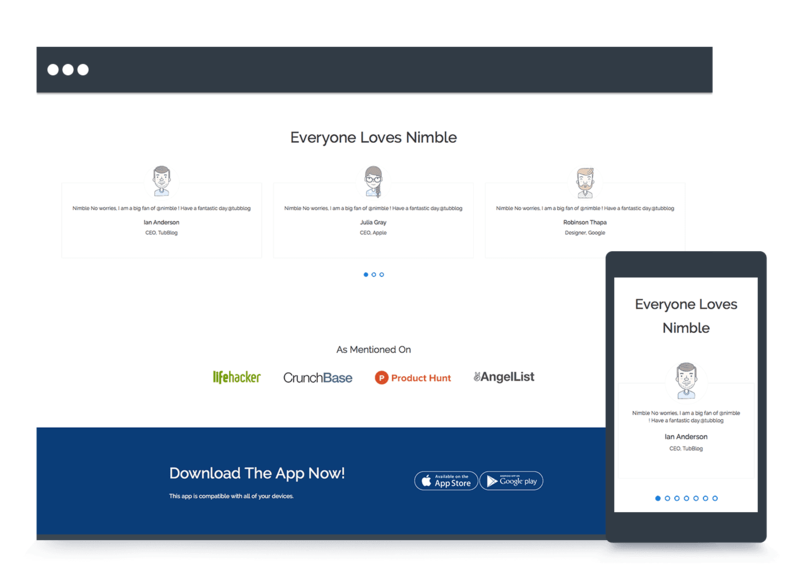 Nimble is smartly allowing customers to share their satisfactory admiration and rave about the brand detonating their experience. 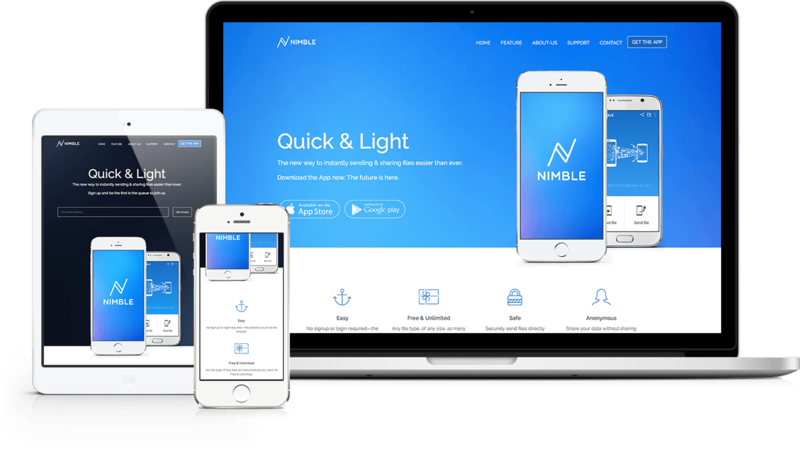 Nimble comes with built in drag and drop one page site builder which allows to build and customize whole website structure and look without touching a single line of code. All thanks goes to one and only OnePager. Following documentation is the key but a laborious task to have quickly hands on the a full-fledge website setup. 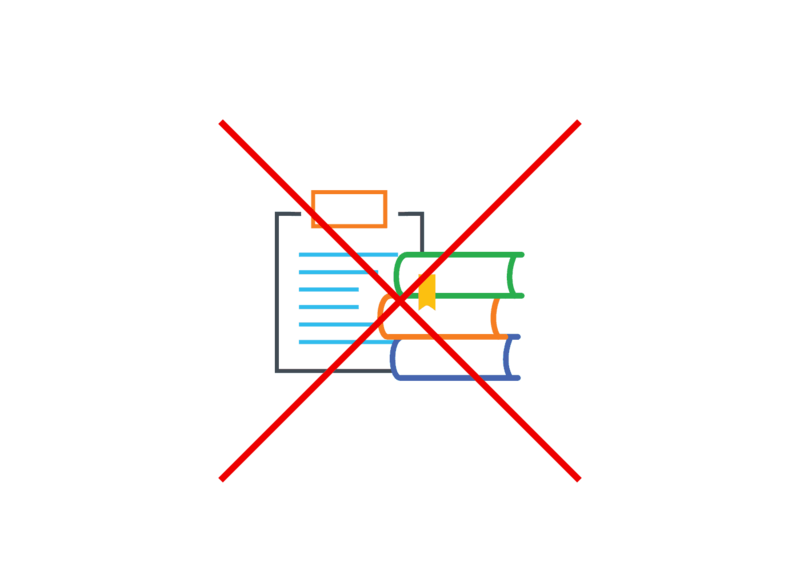 But Nimble is the trend setter does not require to read single line of documentation. Thanks to OnePager to be tightly integrated kickingin the unmatched possibilities of instant site setup and infinite customization. Nimble is packed with a vast array of aesthetic layout variations which allow you to experiment the mysterious revenu and conversion.